. 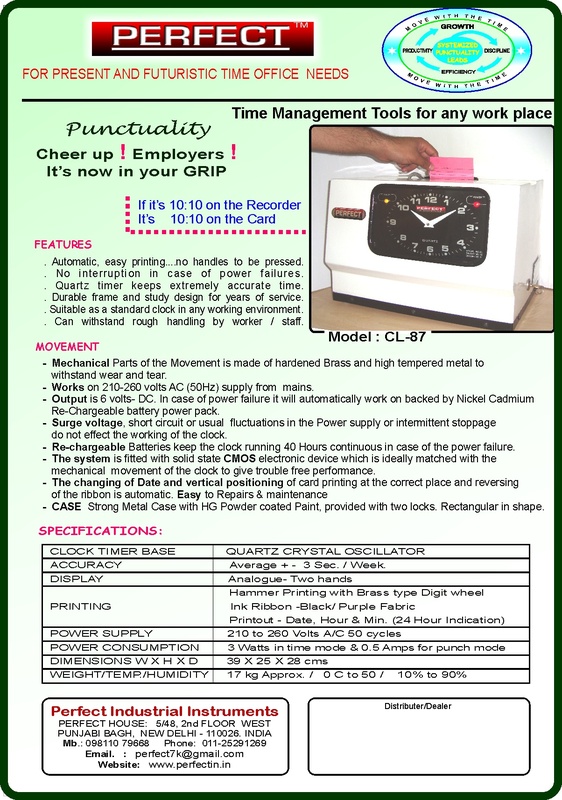 Automatic, easy printing....no handles to be pressed.
. No interruption in case of power failures.
. Quartz timer keeps extremely accurate time.
. 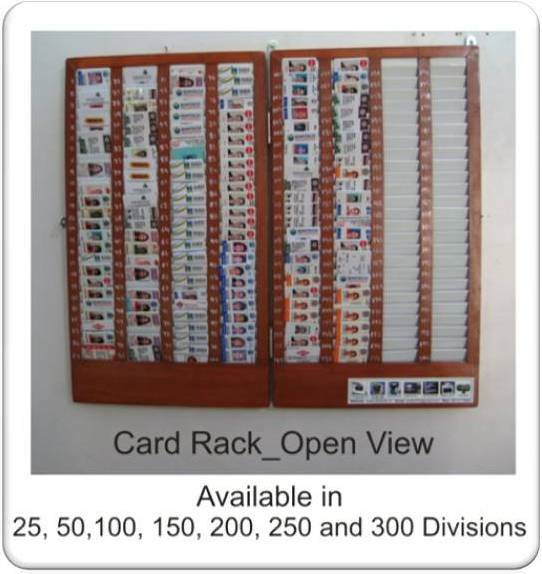 Durable frame and study design for years of service.
. 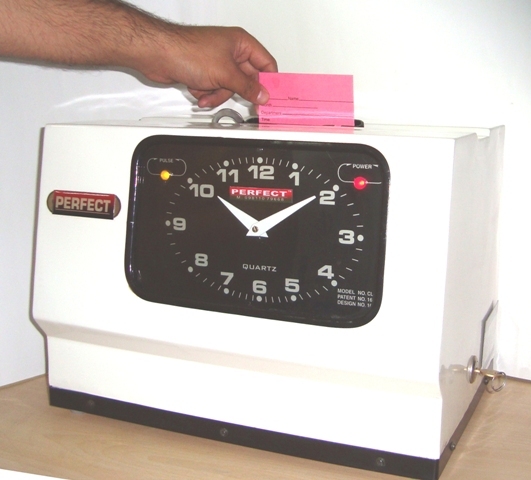 Suitable as a standard clock in any working environment.
. Can withstand rough handling by worker / staff. supply or intermittent stoppage do not effect the working of the clock. reversing of the ribbon is automatic. 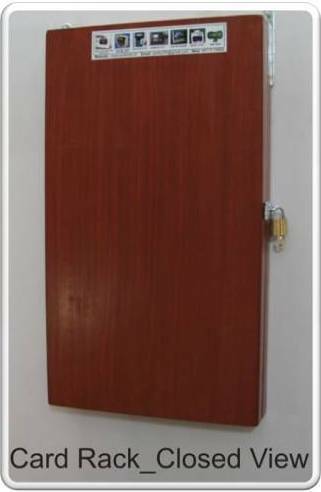 Strong Metal Case provided with two locks. Rectangular in shape. ACCURACY Average + - 3 Sec. / Week.